Fisher's Island was the destination for this wedding. 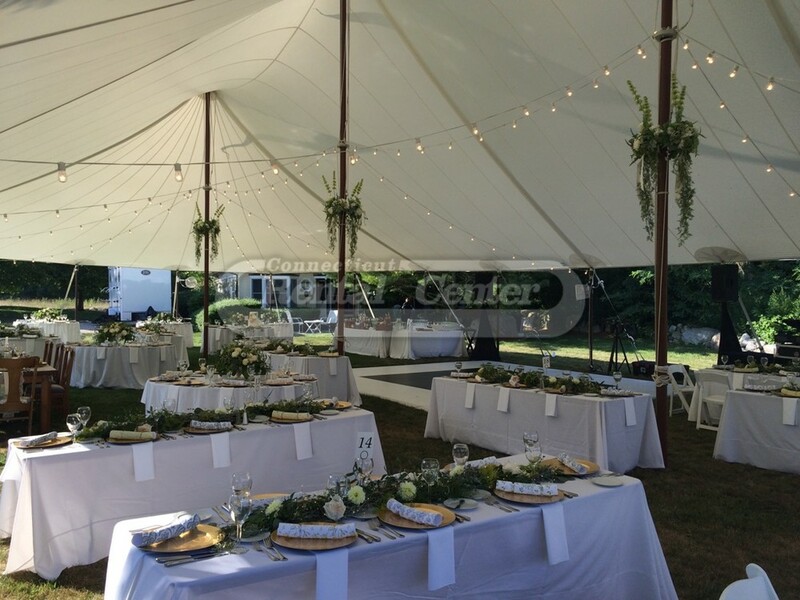 A beautiful Stillwater Sailcloth Tent with Edison String Lights, and flags blowing in the breeze, set the stage. A combination of Farm Tables and Banquet Tables with White Resin Padded Chairs were waiting for the guests. A unique dance floor design using black and white floor added to the ambiance. Panama Napkins 20" x 20"
Panama Rectangle Linen 60" x 120"
Panama Rectangle Linen 90" x 132"
Panama Rectangle Linen 90" x 156"
Panama Square 54" x 54"
Panama Square 72" x 72"
Panama Square 90" x 90"